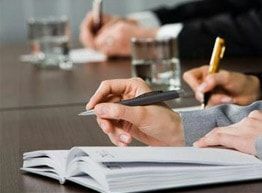 Sử dụng Idioms là một trong những cách để nâng max điểm Speaking khi đối mặt với Examiner. Vì thế, hôm nay, Cô sẻ chia sẽ kho từ vựng Idioms Band 7+ đến các em. Hãy lựa chọn những từ mà mình thích để học thuộc thì sẽ rất hiệu quả nhé. Vì số lượng quá khủng nên Cô sẽ chia làm 2 Parts để chia sẽ đến các em. Tài liệu này cực kỳ hay, hãy lưu lại để từ từ học nhé. Nếu các em muốn nhận file mềm thì hãy comment Email Cô sẽ gửi nhé. Eye for an eye- This is an expression for retributive justice, where the punishment equals the crime. Eyes are bigger than one’s stomach- If someone’s eyes are bigger than their stomach, they are greedy and take on more than they can consume or manage. Fall on your own sword– to be cheated by someone you trust. Feather in one’s cap– something that you achieve and proud of. Firing on all cylinders– work every possible way to succeed. Flash in the pan- If something is a flash in the pan; it is very noticeable but doesn’t last long, like most singers, who are very successful for a while, then forgotten. In droves- When things happen in droves, a lot happen at the same time or very quickly In the doghouse- If someone is in the doghouse, they are in disgrace and very Unpopular at the moment. Jane Doe – Jane Doe is a name given to an unidentified female who may be party to legal proceedings, or to an unidentified person in hospital, or dead. John Doe is the male equivalent. Jekyll and Hyde – Someone who has a Jekyll and Hyde personality has a pleasant and a very unpleasant side to the character. Jet-black – To emphasise just how black something is, such as someone’s hair, we can call it jet- black. Jump the gun – If you jump the gun, you start doing something before the appropriate time. Jump the track – Jumping the track is suddenly changing from one plan, activity, idea, etc, to another. Jury’s out – If the jury’s out on an issue, then there is no general agreement or consensus on it. Just around the corner- If something is just around the corner, then it is expected to happen very soon. Developing and be prepared for the future. Nobody’s fool– one who can take care of himself not having a leg to stand for– not having proof Never-never land– ideal best place. You get what you pay for – Something that is very low in price is not usually of very good quality. You reap what you sow – This means that if you do bad things to people, bad things will happen to you, or good things if you do good things. It is normally used when someone has done something bad.